It's the Arduino Nano without header pins! This version doesn't come with header pins populated so that you can solder in any connector or wire. 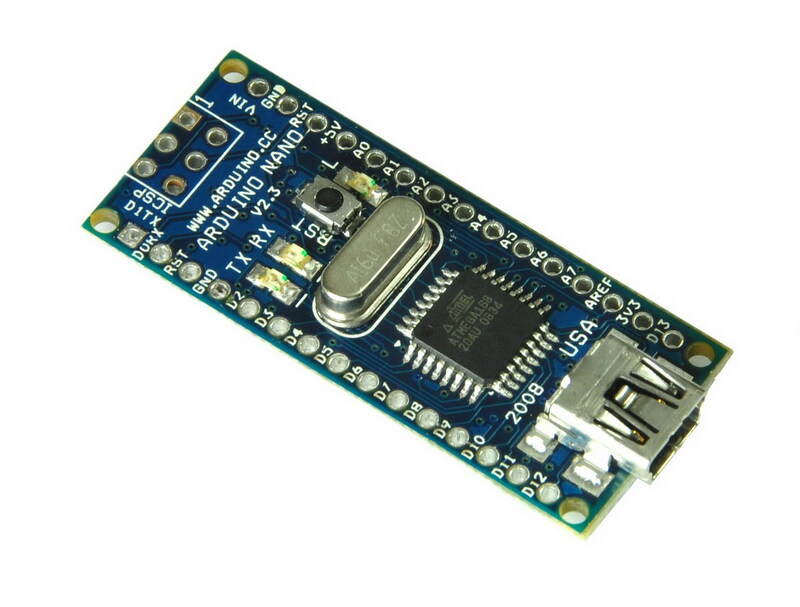 All of the functionalities are the same as Arduino Nano. 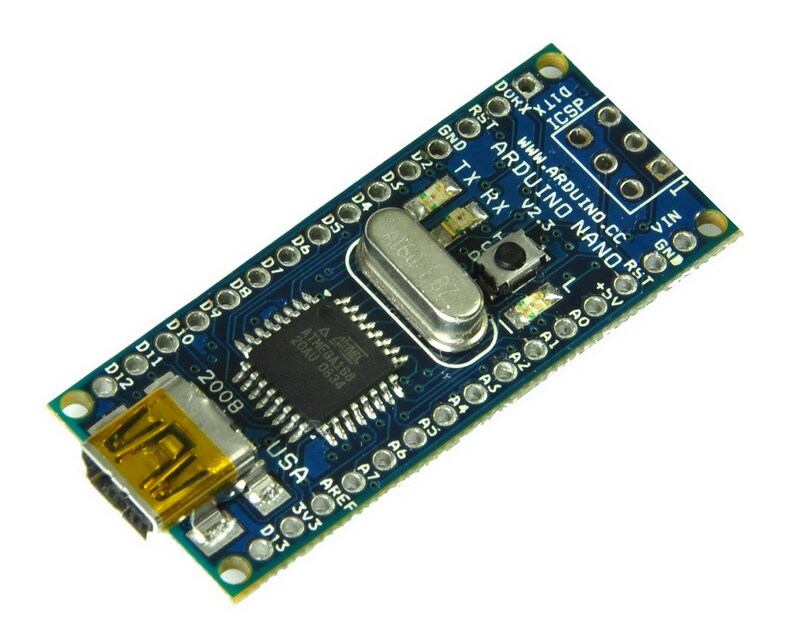 Arduino Nano is a surface mount breadboard embedded version with integrated USB. 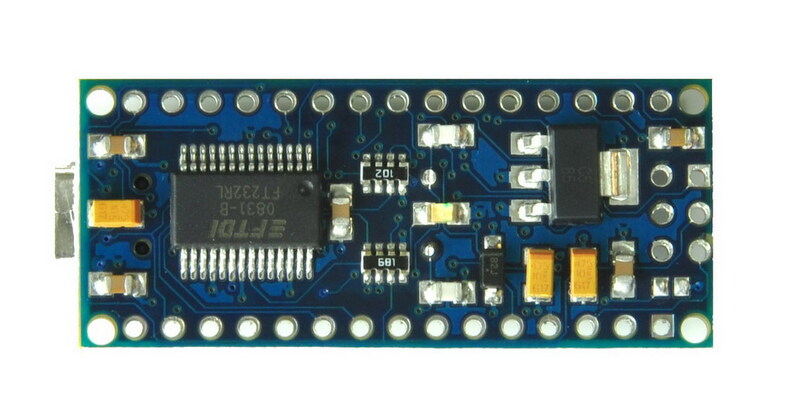 It is a smallest, complete, and breadboard friendly. It has everything that Diecimila has (electrically) with more analog input pins and onboard +5V AREF jumper. Physically, it is missing power jack and power select jumper. Since the Nano is automatically sense and switch to the higher potential source of power, there is no need for the power select jumper. 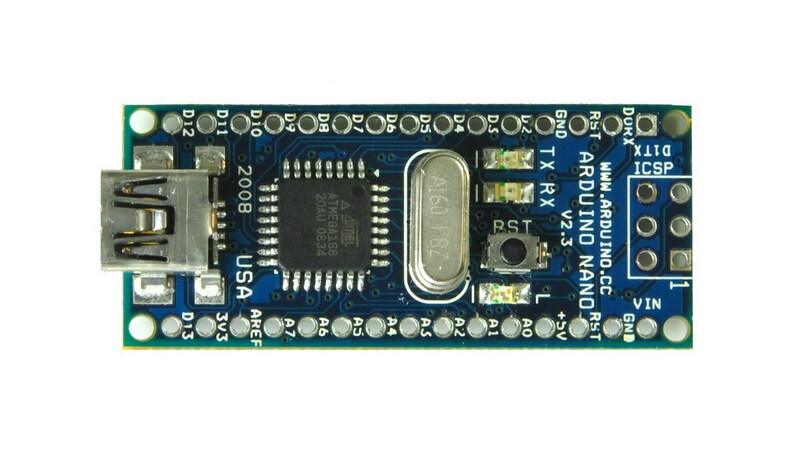 Nano�s got the breadboard-ability of the Boarduino and the Mini+USB with smaller footprint than either, so users have more breadboard space. It�s got a pin layout that works well with the Mini or the Basic Stamp (TX, RX, ATN, GND on one top, power and ground on the other). 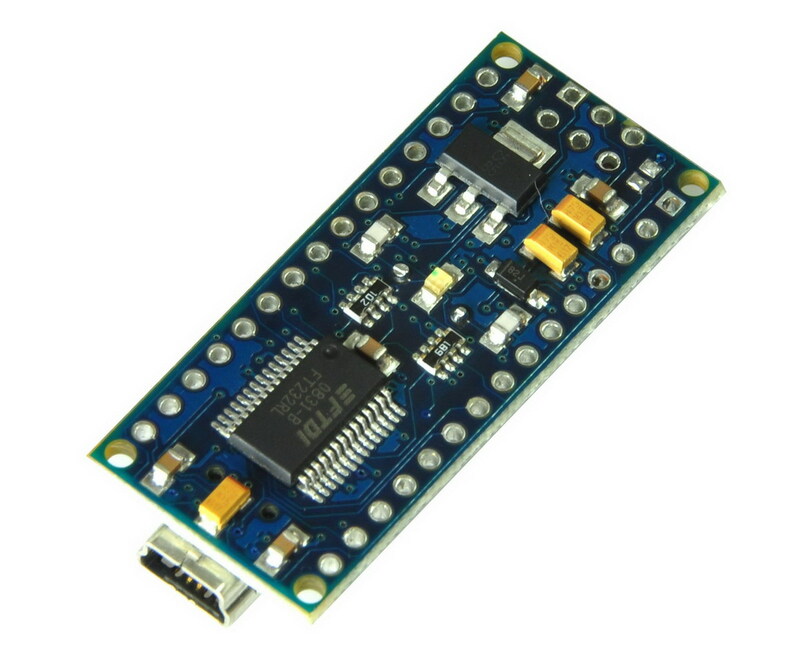 It�s a four-layer board with power and ground planes to help provide ICs with sufficient charge during switching and reduce noise (EMC) on high speed switching I/O pins. Ground plane help reduce radiation (EMI). Power plane is low in inductance; therefore any transients that may develop on the power line will be at lower levels.